Both feminine and flirty, lace has become a frontrunner in fashion this season. Plus, it’s no longer reserved for the ultra-feminine and flirty. 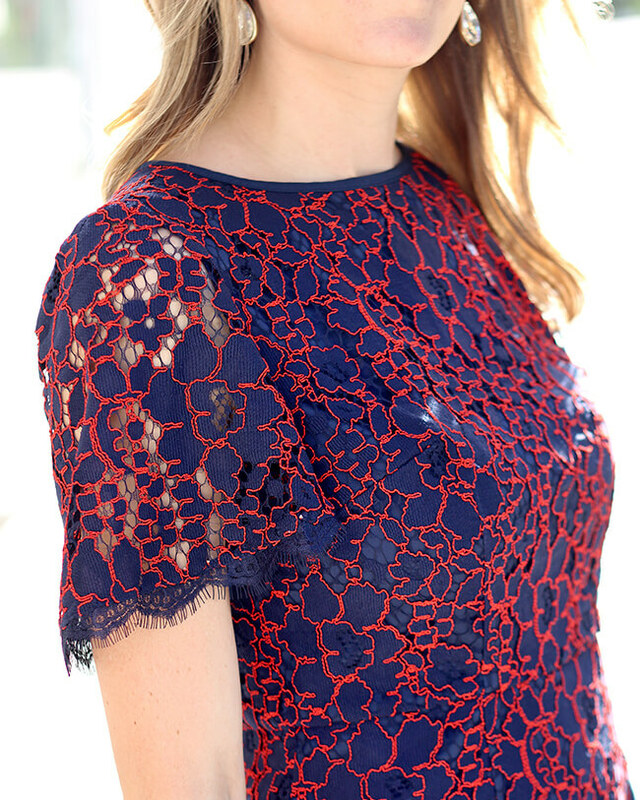 Pepper in some lace detailing: Adding a small amount of lace, such as a sleeve or detailing is an easy way to test the waters. Layer a lace cami under anything: Lace will add interest and texture to an outfit, so color isn’t always necessary. If a lace top seems too much right now, don a jacket to give your outfit a peep of the feminine fabric. Mix and match your lace: Once you’ve gotten comfortable with the pieces you’ve added to your closet, try mixing styles. Inserting lace to a conventionally edgy outfit will throw it on its head. Try a button-up with a lace skirt or a lace tank with leather shorts. Wear a lace dress: fully embrace this whimsical & light look with a full dress. Sticking to a fitted shape with minimal accessories will let the lace do all of the talking. Enjoy embracing your feminine side with this fun new trend! In no time you’ll be wearing this charming style in your wardrobe rotation.